Keep your beverage cold with our spandex coozie ! Click the button below to add the Can Coozie to your wish list. 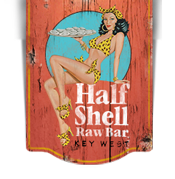 All prices are in USD Copyright 2019 Half Shell Raw Bar.